Do you need the help of a divorce or legal separation attorney serving Northwest Indiana? When people get married, very rarely do they think their relationship will go through a separation or permanently end in divorce. They usually fantasize about having a lifelong love that will last until “death do us part”. Unfortunately, not all love lasts forever. If you realize your happily ever after is not with the person you are with, you need to seek legal counsel on how to proceed with a legal separation or divorce. Depending on the specific reasons you are seeking a legal separation or divorce, there may be different options available to you and your spouse. Some people choose to move forward with a legal separation because they cannot afford to go through the entire divorce process or they are not completely confident in the decision to end the marriage. This is completely understandable as the decision to divorce is just as important as the decision to get married. Couples have their own personal reason as to why they may choose to go with legal separation over divorce, but knowing the ramifications of both is essential to the overall resolution of the issue. It is important to keep in mind that if you do decide to take the separation to the next step and get a divorce, you will still have to take the legal steps required to completely end your marriage. The attorneys at the Semko Law Office are here to help you through those steps to get your divorced finalized and the financial support you are entitled to. When spouses hit a rough patch in their marriage, it is not uncommon to decide to separate. Typically they don’t go too far from each other for too long. Some separations, however, can be longer than others and continue for years and years without any official paperwork being completed and filed. This, of course, makes reconciliation easier if that is what both spouses want. There is, however, something called “legal separation” for people who need or want their separation to be documented and completely legitimate. Contrary to a divorce, you are still married under the law, but simply living separately. If you have reached a point where you know you want to cease living with your spouse but you are still uncertain if you really want to move forward with a divorce, then legal separation may be a very practical option. With a legal separation, the negotiation process can be very similar to that of a divorce. You and your spouse will have to determine child custody and child support, visitation, spousal support and the possible division of any assets if necessary. You may choose legal separation over divorce for religious reasons, financial reasons, ineligibility to divorce due to state requirements, or the possibility of reconciliation. 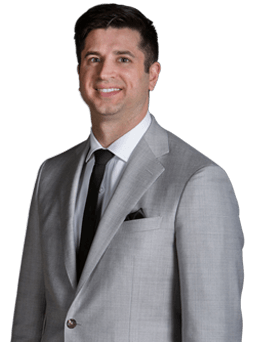 No matter your reason, you need a strong attorney who knows about the marriage/ separation/ divorce laws in Indiana. The Semko Law Office will be there to help you file your documentation and go through any arbitration or mediation that helps this already difficult time go smoother. Deciding to get a divorce is not typically an easy decision, and can be a painful process. Many people do not consider the ramifications of divorce emotionally, legally, or financially. If you have determined that you cannot reconcile with your spouse, divorce is an available and necessary option. It takes a knowledgeable attorney with experience in divorce law to help guide you through the legal requirements needed to end your marriage. This includes help with things such as knowing how and where to file, and how to legally divide up the assets. You want to make sure your assets are protected, and you are aware of what you are entitled to once the marriage has legally ended. Legal assistance in your divorce or legal separation case can be extremely beneficial, especially if the other person has hired a lawyer. Some of the divorce proceedings you will go through can be complex in nature as well as emotionally charged. It can really help your case to have an attorney who is familiar with the Indiana divorce laws, and has experience in these types of cases. A resourceful attorney can answer any questions you have and work on your behalf when it comes to negotiations, mediations, and any possible court proceedings. You don’t want to go through this process alone and with Semko Law Offices you don’t have to. There is a divorce attorney in Northwest Indiana that you can count on to help you determine whether legal separation or divorce is best for you. Contact the Semko Law Office to schedule a meeting to review your case. There is nothing like having an advocate on your side when dealing with divorce and family law matters – the attorneys at Semko Law Office will be that advocate for you.